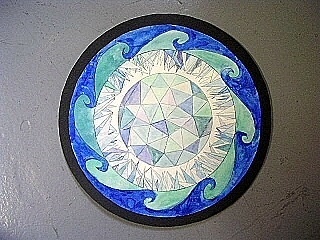 Students studied the sacred art of the Mandala representing the circle of life, of community of connection. Students explored radial symmetry and the use of watercolors then considered what was sacred in their own lives that was worthy of focus. Students created personal mandalas that represented a singular theme or multiple ideas of what was sacred to them.